Gallery entrance as seen from upstairs gallery; the show was all embroidered work. 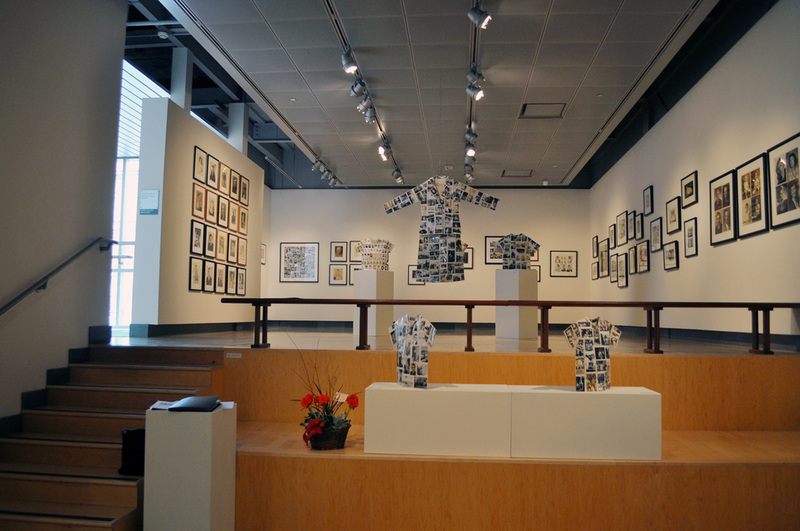 Exhibited through summer, 2013. Upstairs gallery. 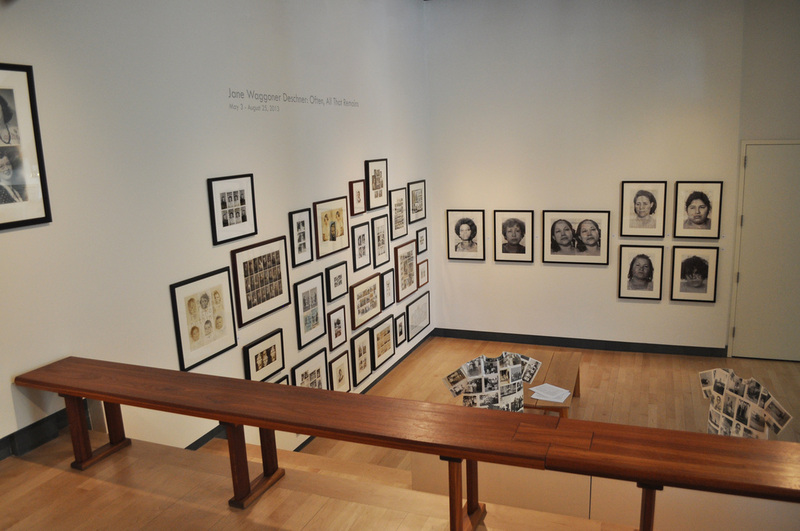 The #20 studio portrait piece on the left freestanding wall is now in the museum's permanent collection.